Do casts of early medieval stones dream of fibre glass sheep? Today I revisited the Pillar of Eliseg with colleagues and a University of Chester Computer Science student to photograph it with a drone. The Pillar is a unique early medieval stone cross fragment and base located on a prehistoric mound near the ruins of the later Cistercian foundation of Valle Crucis Abbey. 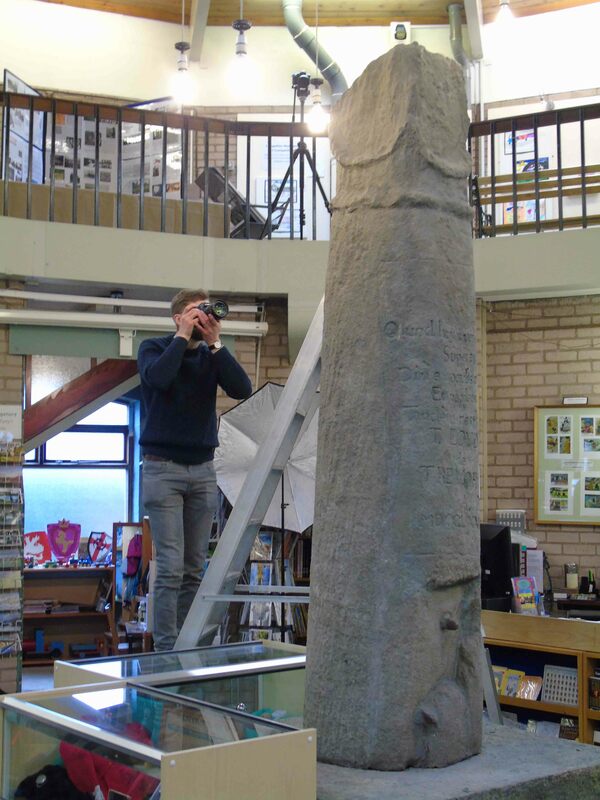 Matt Williams is doing a project not only to record in detail the Pillar itself with a drone-mounted camera, but also to record the cast of the monument made in the 1980s and on display in Llangollen Museum. Therefore, after recording the ‘real’ monument, we then went back to Llangollen Museum where the results of Project Eliseg‘s 2010-12 excavations are the centre-piece of displays as discussed here. The cast of the Pillar of Eliseg is a Tyrell Corporation Nexus-6 to be sure. It is even on rollers, so might one day break free and make off at low speed around Llangollen, pursued by Blade Runners. 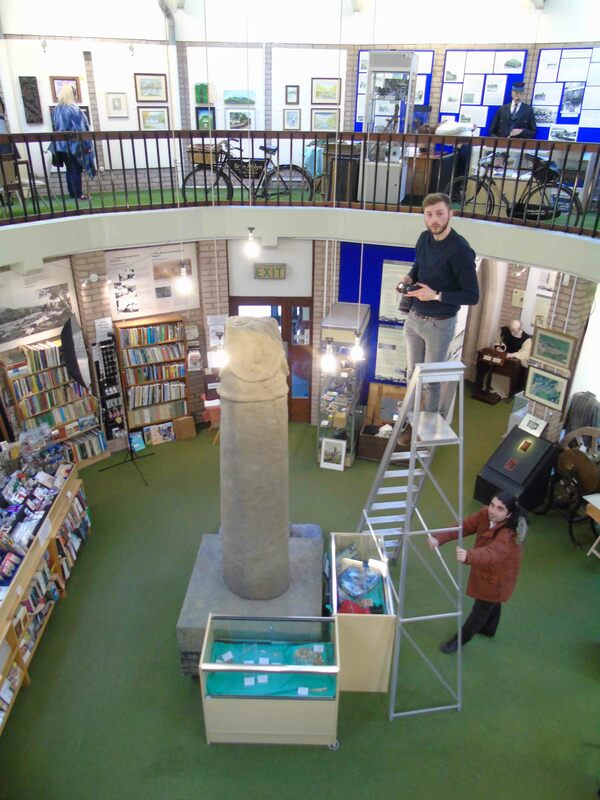 For the moment though it is safely within Llangollen Museum whose staff generously allowed us to photograph it. Why are we interested in ‘just a replica? Casts of stone monuments are a fascinating case study of the complex afterlives of early medieval stone monuments, as ongoing research by Sally Foster has explored. Researching the making and display of these monuments has importance for historians of archaeology, museologists and archaeologists. 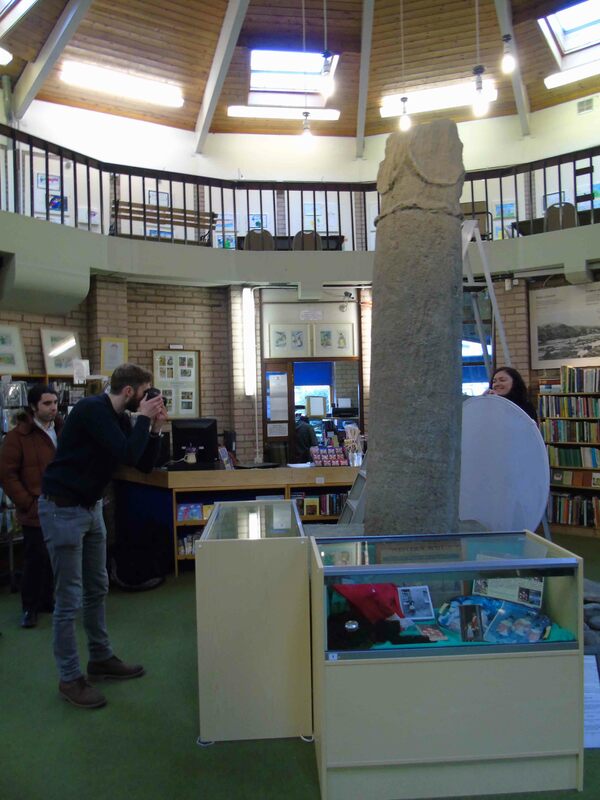 The cast of the Pillar of Eliseg has a distinctive relationship to the original monument; it brings a monument in the landscape into the heart of Llangollen and is the axis mundi for its museum. The cast is therefore a key dimension to the ‘cultural biography’ of the Pillar of Eliseg, augmented by our own discoveries at the monument including Bronze Age cremation burials that are now displayed at the base of the cast. The cremations create their one sense of absent presence within the museum as discussed here. The original and the copy are not identical even upon inception. Lighting and setting also make them different experiences from each other. Yet the relationship between original and cast is growing over the years. The ‘real’ monument is slowly eroding due to exposure to the elements, while the cast in the museum is near static. The replica is slowly becoming less like the monument one can see outside and the cast is becoming something other than a copy. They look superficially identical, but as museum staff who see the monument regularly now admit, it is now possible to see more details on the cast then one can see on the real monument. I like to look at this in another way: the Eliseg replicant is taking on a new life of its own. Hence, like Blade Runners, we were today tracking down the replicant. Yet rather than seeking it out for termination, we are carefully recording it as a monument in its own right. Note: originally posted in March 2016 on Archaeodeath.